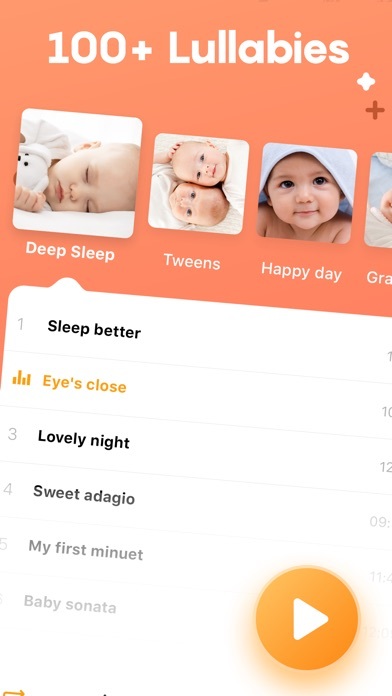 I entered the first feeding and it unlocked lullabies that immediately started playing at full volume and woke my just-fallen-asleep baby. Not helpful - deleting minutes after downloading. Update: I got an email from the developer that they are working to fix this. I think the app is amazing! Super easy to use, convenient and I love the colors/design/layout of the app itself! I think it’s the most user friendly, and the most efficient! However I didn’t give it a 5 star because I would love for it to have an Apple Watch App! That would take it to a 5 Star level for me! 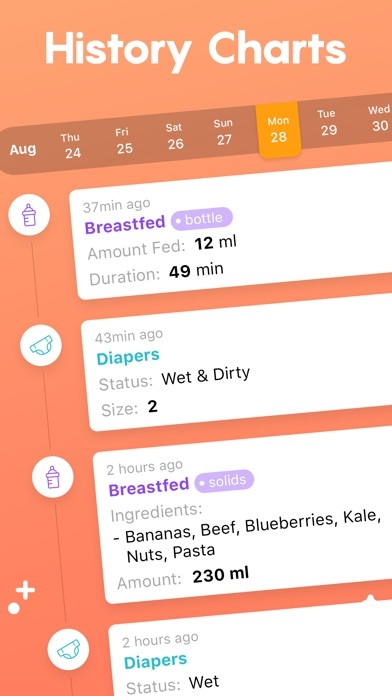 I love the hands free option of not having to reach for my phone for the middle of the night feedings! If they could make that happen, it would be 5 ⭐️ all the way! I had this app all of 10 minutes and was not satisfied so I deleted. I was supposed to be on a free trial but they charged me the $23.99. I would like a refund! 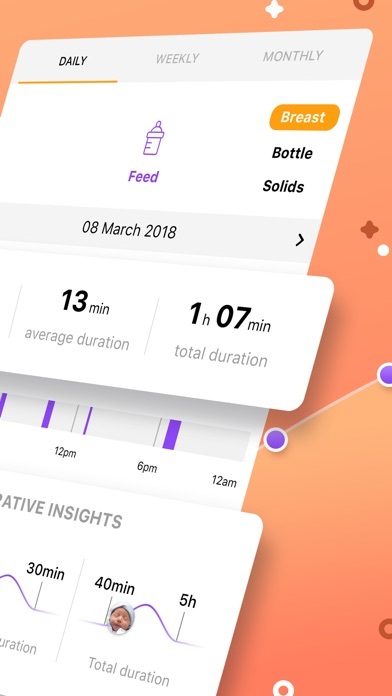 I downloaded this app on February 1, and was immediately charged the $23.99 yearly subscription—no 1 week free trial. I’ve tried to cancel and adjust the app settings, but they do not work as I don’t have an a count set up and can’t create one. 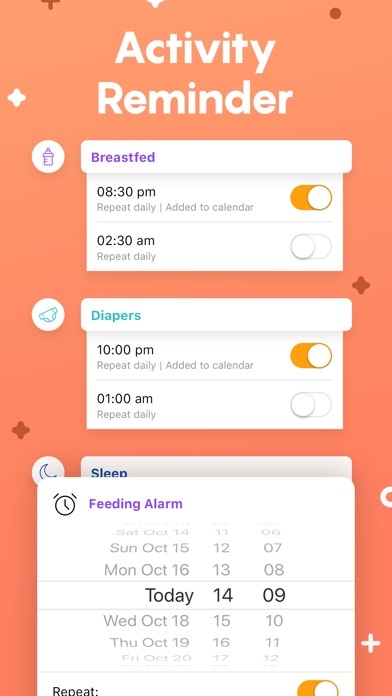 Additionally, the timers don’t even work unless you remain in the app—when baby is sleeping or eating, all I can use my phone for is BabyTracker. 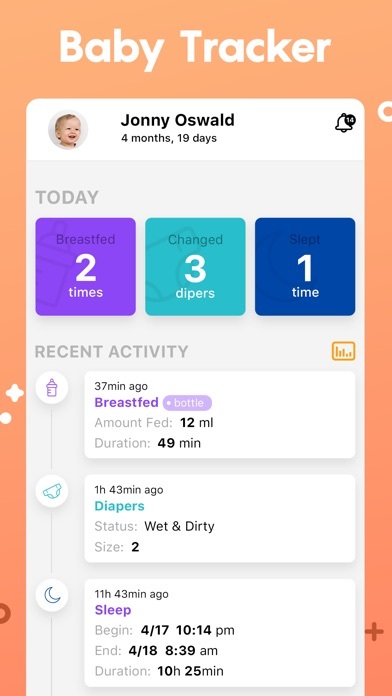 I’m thoroughly disappointed with the complete lack of customer service on top of a baby tracking app that doesn’t track! Follow the instructions below to cancel the reoccurring subscription from your mobile device: 1. Enter your device Settings and scroll to find iTunes & App Store 2. Tap on your Apple ID 3. Tap on View Apple ID 4. Scroll to find Subscriptions 5. 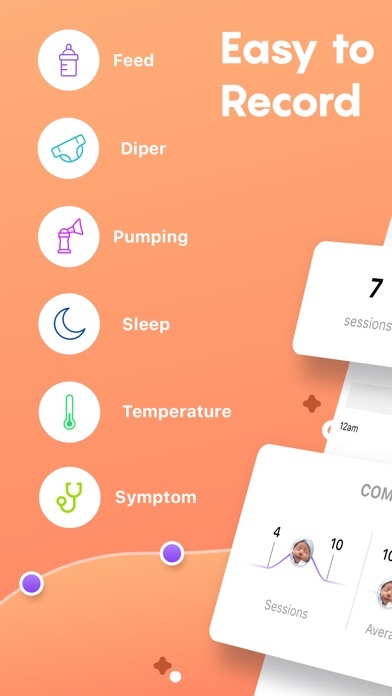 Under "Active" subscriptions, tap on Baby Tracker and Cancel Subscription In case anyone wants to cancel their subscription prior to being charged $24 for a year of service. I would not recommend this app to anyone because it constantly crashes and you will lose all of the data you have had. I have tried this app twice because when it works properly, it’s wonderful, but after a month or so, it freezes and stops working. I could not restore the info that I had saved, so this app is ultimately crap. I give it five stars with my eyes closed !